After purchasing the Pouch With A View pattern and being in the Swap for it on Instagram recently, I became obsessed with zipper pouches lol. Im not gonna lie, sometimes I even thought about them in my sleep. The perfect patterns, fabrics, etc etc. It was literally an obsession. 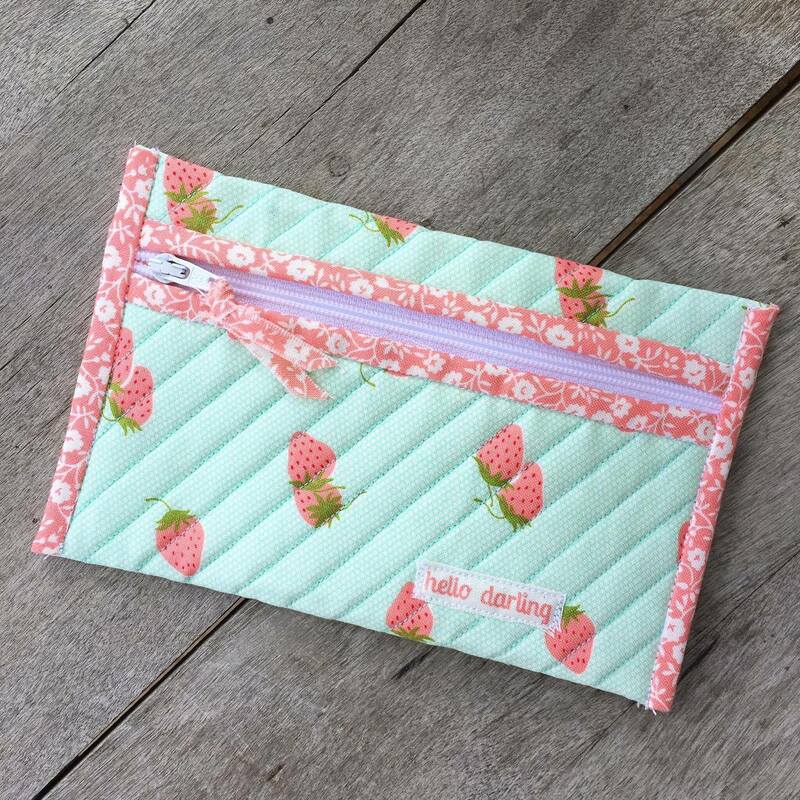 Although, I love the vinyl windows in them, I have been thinking about making little wallet / zipper pouches for my girls for money. I don't want those to have a vinyl window, in my mind being able to see their money, change, etc makes it more susceptible to theft (especially at school). This week. 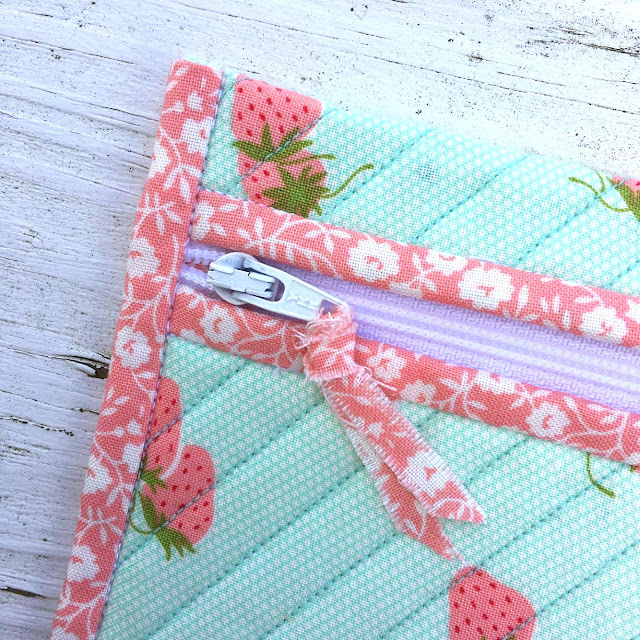 after much searching for the perfect zipper pouch pattern, I landed on Amy's Pretty Pockets by Pretty by Hand and went ahead an purchased it. 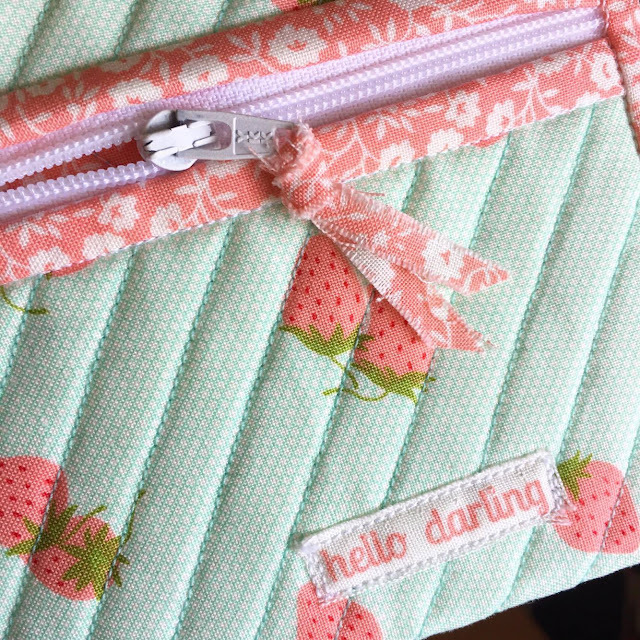 I started my pouch today and quickly realized that I wanted to modify the pattern just slightly by binding the outside edge of the pouches in the same way the zipper is bound. This is an unsolicited pattern review, but I felt like the affordability and ease of this pattern deserved mention. The 'pockets' come in 3 sizes, and you get all 3 for $5.95 which is really cheap compared to some others I found in the $9-$12 range. Zipper installation was SO ridiculously EASY. I cannot stress this enough. Bound zippers are nothing to be scared of. In all honesty, this is now my favorite method ever of installing a zipper. I absolutely loved it. Even a skilled beginner could follow this pattern with ease and you will have so much fun making them! This turned out really sweet! I’m visiting on behalf of the FAL hosting team – thanks so much for joining us! Thank you Debbie! I have enjoyed participating in the FAL this quarter!